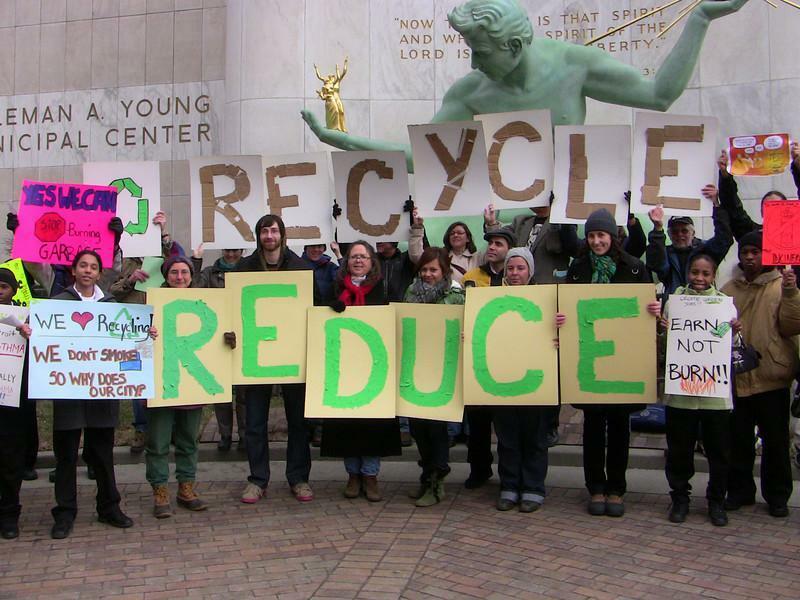 Residents of the Detroit metropolitan area may no longer have to separate their recyclables before disposing of them. Waste Management of Michigan announced on Monday plans to construct a single stream recycling facility in the city. The facility would handle recyclable material for much of southeastern Michigan, where commercial and residential demand for the service is expanding, the company says. Single stream recycling eliminates the need for customers to separate recyclable materials prior to collection; instead, special equipment handles the task. The facility makes recycling less of a hassle — enough to boost volume by 20 to 30 percent, Waste Management says. Here’s how it works: customers place recyclables in a single container for pickup. When they arrive at the facility, a series of magnets, screens and optical scanners are used to separate, sort and process the materials. Once processed, the materials are shipped out for reuse. Waste Management currently operates 35 single stream facilities across the U.S. The facilities allow the company to control a part of its operations it traditionally outsources, important as the value of recycled materials increases. It will also help the company reach its sustainability target of tripling recycling volumes by 2020.